Wendi Zwaduk - Romance to make your heart race: It's Wicked After Dark!! It's wicked after dark and keeping with the theme, I'm going to share a snippet from my latest release, Miss Me Baby. There's also a prize up for grabs here. Oh yeah! I'm giving away a bracelet at the end of the hop! You know you want to win. So what do you have to do? Easy. I've got a question at the end of the post. You leave your answer, your name and your email in the comments. Done! Then you're entered. So go forth and read! He jerked upright and glanced around the bar. The dream wasn’t a dream any longer. He’d heard his name. The last time he’d checked, the bar had been empty. Who’d said his name? Remember, leave your name, your email and your answer in the comments. If you don't, I can't add your name to the hopper! So comment away. And so you can keep hopping when you're done, here's the linky list! thank you for the chance at such a great giveaway and the hop is a blast. the book sounds wonderful and the braclet is breautiful. John is talking to he thinks Lisa, but it is Felicity. The bracelet is fabulous! First impressions are huge...yes, it can make or break your chance at love or even friendship. Felicity Black! This books sounds amazing. It is getting added to the wish list right now! 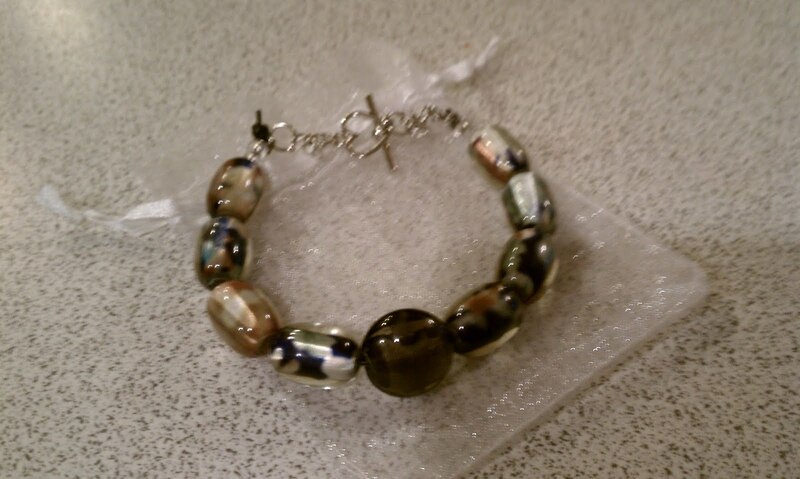 Thanks so much for being a part of the hop and for the gorgeous giveaway of the bracelet. It is beautiful. Felicity is talking to John. Felicity. Bracelet would look good on my arm. Felicity Black is the one speaking to John. Thanks for being part of the blog hop and for your beautiful giveaway! He is talking to Felicity. Thanks for the giveaway! Youre book looks great! Felicity is talking. Felicity's talking to John. Thanks for the giveaway, the bracelet's awesome! The bracelet is beautiful! He's talking to Felicity. Thanks for the giveaway! John is talking to Lisa in body, but Felicity in mind. Interesting plot. I'm thinking I like it. Felicity. Thank you for this chance to win.Have a fantastic week. He is talking to felicity. Felicity is talking to him...What fun! Thanks to everyone who hopped by the site. The winner was Rissa!!! I've emailed you off site and thanks for stopping in! I hope you continue to find some great reads on my site.